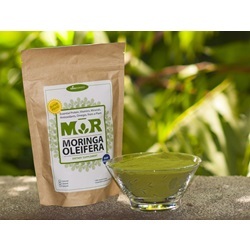 Selina Naturally® is proud to introduce MōR® Moringa powder! MōR®; Moringa is a great everyday supplement because it contains all the vitamins and minerals your body needs! 100% Pure Moringa Oleifera. We also carry 100 Cap Bottle of Moringa Supplements. 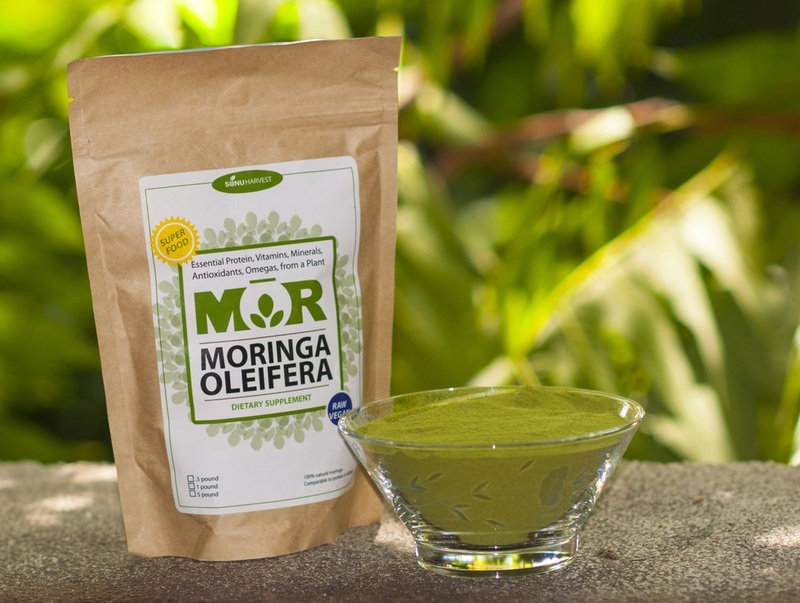 Why take MōR® Moringa powder? MōR® Moringa is 100% natural bio-available formula of vitamins and minerals which are partners of enzymes and co-enzymes which allow for maximum nutrient absorption. Athletes all over the world boost their performance abilities by taking huge quantities of the leaf powder to keep them fit both mentally and physically. It is their secret weapon. Even for senior citizens who are losing their sharpness of mind, the Moringa tree leaf powder could be a great help. In fact the powder is suitable for people from any age group. Moringa powder is known to improve energy, stamina and caters to all segments of people: Working Professionals, Middle Age, Senior Citizens, Lactating Mothers, Children, and even Pets. Moringa promotes increased energy and vitality, making it a good choice for working professionals, athletes, students, and senior citizens. Moringa is completely safe and can be used for people of all ages; you can even give Moringa to pets! In Africa and India, the Moringa tree is often called “Mother's Best Friend.” Moringa leaves are often given to malnourished babies and lactating mothers. In fact, several outreach campaigns are being conducted by international organizations that feel Moringa has the potential to save lives in developing nations. One tablespoon of leaf powder provides 14% of the protein, 40% of the calcium, 23% of the iron and most of the vitamin A needs of a child aged one to three. Six tablespoons of leaf powder will provide nearly all of a mother's daily iron and calcium needs during pregnancy and breastfeeding. The leaves are the most nutritious part of the Moringa tree, and the organic, dried form of the leaf is the most beneficial. Fresh leaves are over 70% water; when the leaves are dried and the water is removed, this increases the potency of the leaves and concentrates the vitamins and nutrients within. Moringa is easy to add to your diet. Available in convenient capsule form or in a powder, Moringa can be added to smoothies, yogurt, pastas, eggs, or any number of other foods. It's never been easier to add so much nutritive value to the foods you already enjoy. MōR® Organic Resources Farm offers this organic Moringa from Senegal, West Africa. The soil in this area is particularly rich and has been studied for its beneficial properties. Ingredients: 100% Pure Moringa Oleifer in vegetarian capsules with no fillers. 250mg of Moringa powder per capsule! Suggested Use: 1tsp. or more per day depending on your individual needs or as directed by your healthcare practitioner.